34 Commercial Real Estate and Properties in Geelong are listed in 5 categories. We have 17 Industrial Warehouses for Lease , 15 Offices for Lease , 4 Retail Shops for Lease , 1 Other Commercial Properties for Lease and 1 Medical and Consulting Properties for Lease . Total Area 160m2 Modern staff amenities On site car parking available Contact Andrew Shields on 0408 443 202 for an inspection today! Warehouse of 258m2. Modern amenities. Container height roller door. 3 Phase power available. Well priced and positioned in the prestigious Paramount Estate, minutes from Ballarat Road and Boundary Roads with easy connection to all major arterials. Call Gabe Fullarton on 0477 006 134 to arrange an inspection today! Rare Leasing Opportunity In Popular High Traffic Area $26,000 plus GST and outg.. 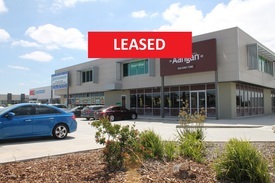 This rare commercial leasing opportunity in up and coming Manifold Heights offers a variety of business opportunities from the medical practitioner to the beauty therapist to the office professional wanting a space thats just a little out of the box bull; Prime corner location bull; Versatile premises suitable for a variety of uses including medical rooms or professional offices (STCA) bull; 4 consulting rooms/offices available bull; Opportunity to divide a 5th room into an additional 2 rooms bull; Close to school, cafes and public transport for clientele. bull; Shared driveway with off street parking bull; Blank canvas for incoming tenant to add their own styling bull; Kitchenette and toilet facilities bull; 120m2 approx. bull; Commercial 1 Zone (C1Z) bull; Available March 2017 or earlier by arrangement. bull; $26,000 pa plus GST and Outgoings. All information offered by Ray White Geelong is provided in good faith. It is derived from sources believed to be accurate and current as at the date of publication and as such Ray White Geelong merely do no more than pass the information on. Use of such material is at your sole risk. Ray White Geelong does not have any belief one way or the other as to whether the information is accurate and prospective purchasers are advised to make their own enquiries with respect to the information that is passed on. Ray White Geelong will not be liable for any loss resulting from any action or decision by you in reliance on the information from Ray White Geelong. Warehouse In Vibrant Pocket Of Geelong West $25,325 pa plus GST and o.. This warehouse is situated in convenient Geelong West suitable for either an automotive/tradesperson set up or for nearby retailers looking for additional storage space. bull; Approx. 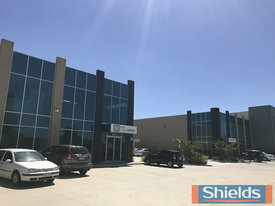 warehouse space 191sqm bull; 3 phase power bull; Close to Pakington Street and CBD bull; Easy access to Melbourne Road bull; Clear span construction bull; High clearance roller door bull; Small office amenities bull; 4 car spaces All information offered by Ray White Geelong is provided in good faith. It is derived from sources believed to be accurate and current as at the date of publication and as such Ray White Geelong merely do no more than pass the information on. Use of such material is at your sole risk. Ray White Geelong does not have any belief one way or the other as to whether the information is accurate and prospective purchasers are advised to make their own enquiries with respect to the information that is passed on. Ray White Geelong will not be liable for any loss resulting from any action or decision by you in reliance on the information from Ray White Geelong. 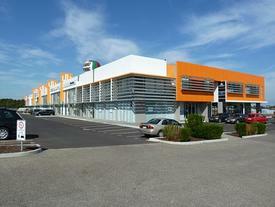 Located in the wonderful and state of the art Wyndham Gate Commercial Centre. Neighboring other businesses such as Simonds Homes, Plum Heating and Cooling, Melgalines Insurance Risk Advisers and plenty more. This property sits in one of Melbourne and #x27;s fastest growing areas,both residential and commercial, over seeing the Princes Freeway and quick and easy access to Palmers road overpass. This office space is ready for business the start today, with spacious and well sized rooms, admin and reception areas, data points throughout the property and also a five minute walk to the newly constructed Williams Landing train station, this opportunity is one not to be missed.